My heart is crowded. After the message this morning, I realized my over-sized, compassionate heart has little room or space. After writing this confession, I think back to Mary and Joseph begging for a place to deliver Jesus–the Son of God–and not a single person had room except for a man who offered his stable. Believe me when I say to you that I don’t pass judgment on those who closed their doors and said, “no”, or the man who offered a smelly stable. I think we can all understand. People were busy with other things, it was late at night, and delivering a baby is risky. I witnessed my sweet Adelaide’s birth (a miracle moment that I will NEVER forget! ), who is now 2 weeks old, and I realize what Joseph was asking when he begged for space to deliver a baby. They did not know this was no ordinary baby; but Jesus, the Messiah. Maybe if they had known? The worries of this life, our pursuits, desires, and an all-encompassing category of “other things” reminds us how very quickly we can allow the outside world to choke His word. The curve balls of life and the unexpected have crowded my life. Maybe if I had known? I love Jesus. That’s not the issue. My heart is committed to Him. I am redeemed! I believe the issue when our hearts are crowded is centered on how you define purpose. You and I were created for His glory. When my pursuits and “other things” pull me away from my belief that I am a created, child of God, or if my divided heart does not bring God glory, then it is time to regroup and ask God to teach me His way. There is a movement of prosperity preaching, in which, God’s glory has been equated to personal and financial success. The older I become the more I realize that God’s glory is found more in the seemingly monotony of the daily responsibilities and challenges. Turn your eyes away from what is next, endless pursuits, and look around your immediate moment. How will we show God’s glory here? One of my most dear friends shared this quote/picture with me. 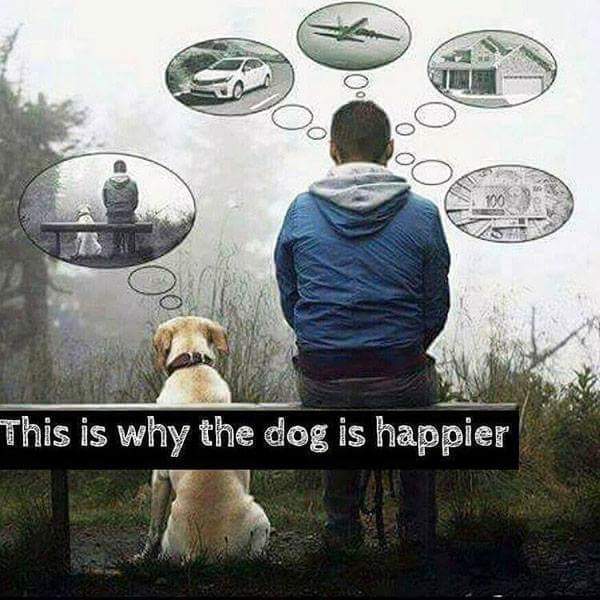 She wrote: Ponder this…sometimes we really need to just take deep breaths and disconnect from all the worldly distractions and just be fully present in the moment…fully present with people…fully present in ourselves and feed our souls……. My daughters just joined me for lunch. They asked about the message and what I was writing about. My middle child thought it would be a good idea to take a personal inventory to figure out where you might be in your relationship with Jesus–your heart condition. Based on the parable of “The seed and the Sower” in Mark 4:1-8 what condition is your heart? Have you been deeply disappointed or hurt which has caused a lot of anger or bitterness towards life and others? Do people tend to say things like, “Wow! You seem angry and edgy lately.”? Do you find yourself with feelings of apathy toward things that you used to hold sacred or important? Do you have thoughts and feelings of un-forgiveness that seem to keep you up at night, or impacts your day-to-day functioning and enjoyment of life? Do you have feelings of complacency in your faith in comparison to previous years when you seemed to be more passionate? Do you find yourself rationalizing certain behaviors and actions even though you know it’s not the best choice for you? Can you not remember the last time you opened your Bible excited to learn more about His Word? Do you feel like you’ve lost some of your passion and replaced it with worldly distractions? Do you find yourself on an endless pursuit to chase dreams, people, or positions and constantly feel disappointed in yourself and others? Do you find that you can’t seem to find joy, and there is an endless pursuit of “the next thing”? Are you so goal oriented that your focus tends to be more on the future than the moment? Are you so busy with helping, doing, going, and being that you are exhausted most of the time? Did most of these items listed seem extreme and did not describe you? Do you have discernment and a passion to obey God’s Word? Do you find that you can comfortably live in a state of forgiveness and grace for others? Do you put God first above all else and daily you are seeking His Word? If you answered yes to most of the burgundy, red questions you are struggling with a calloused or hard heart. If you answered yes to most of the purple questions you are struggling with a casual or compromising heart. If you answered yes to most of the orange questions you are struggling with a crowded or divided heart. If you answered yes to most of the black questions you have a committed heart. The solution to your heart condition lies within your seeking of God’s Word and honesty of why you may have answered yes to a question.